If you want to add an instant upgrade to a tired outdated kitchen, consider repainting the cabinets! A simple paint job can make a huge difference for any kitchen space, large or small. And a DIY paint project saves property owners’ time and money! Before committing to undertake a cabinet repainting project, is important to first take full consideration of all the necessary tools, supplies, time, and money the job requires. Knowledge is power, even when it comes to DIY home renovations! By preparing yourself for what to expect, you can be ready to take on any obstacles or challenges that might ensue during the process. For this reason and more, it will help to review a few tips for DIY cabinet painting, and who to have on deck in case things get too complicated. Continue reading for tips on painting cabinets for an instantaneous and affordable kitchen renovation. Once you have decided on a color, researched and purchased quality paint, primer, and sealcoat, and studied how to properly apply coats of paint to the material of cabinet in your kitchen, you are ready to begin! But the first tip for a DIY painting project is to be sure you have ample time. Not only do you need time to complete the painting process, you need additional time to allow the coats to dry. 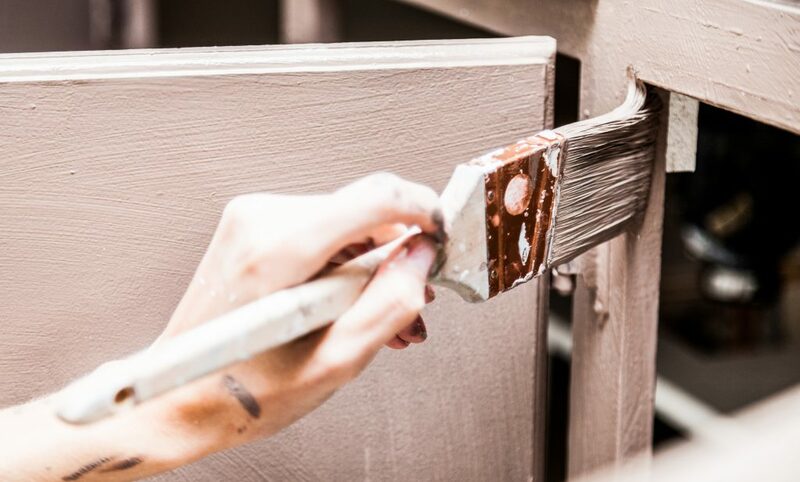 Paint needs to thoroughly dry before placing any furniture or décor back in its place. This could jeopardize the finish, potentially adding nicks, marks, scratches, smears, splotches, and more. It is recommended to set aside at least four to five days for a small to medium-sized kitchen, and at least one week for larger-sized kitchens or kitchens with many cabinets. One of the most helpful tips anyone could give in regards to repainting kitchen cabinets is to label and grid each and every one for accurate reassembly. So often, people forget which door goes where, and which handles go to what. It is very confusing to try and figure it out without labels or grids. By recording the placement and fixture for every piece, you can ensure your cabinets are put back exactly the way they were before your project began. You can use masking tape and label each part, and a piece of paper to record the placement of hardware and other fixtures. Also, avoid painting over hardware, screws, or nails. Paint affects the way your cabinets will open and close. Use a cordless drill to remove all of these components, grid where they belong, and replace once the paint is completely dry. And don’t forget to use putty knives and a spackling compound to fill in nicks, dents, and holes. Always paint over a smooth surface for the best possible outcome. Call a licensed Indianapolis painting contractor for fast, professional, and affordable kitchen cabinet renovations and upgrades. They retain the proper tools, training, and resources to provide professional finishes at a price anyone can afford, and in a time-frame that’s convenient for you. 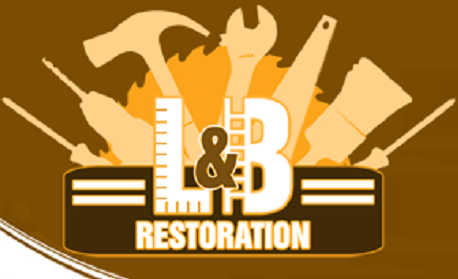 Call Restoration By L & B, LLC at 317-454-3612 for affordable interior and exterior painting services in Indianapolis, Indiana. Owner and general contractor, Lee Elliot, guarantees to beat any competitor’s price. Our experienced painting contractors are happy to answer your questions about painting and drywall work, anytime. We offer a wide range of remodeling and renovation services for all commercial and residential properties. Call 317-454-3612 to request a written estimate, today. This entry was posted in Painting, Painting Contractors and tagged Indianapolis painting contractor, kitchen cabinet painting tips, painting cabinets, painting tips, tips painting cabinets. Bookmark the permalink.